Cross street @ Martin Luther King Jr. Way, one long block from Ashby BART. The KPFA Community Advisory Board (CAB) invites community journalists, KPFA programmers, staff, activists, writers, artists, musicians, volunteers and listeners from throughout the KPFA signal range for a lively exchange about the station. We urge you to attend and share conversations and proposals about how KPFA 94.1 FM and kpfa.org can address the issues that you and your organizations care about. Topic suggestions, community literature and participation in small and large groups are welcome. United for Community Radio (UCR) members work with the Community Advisory Board and other organizations to support KPFA and Pacifica. 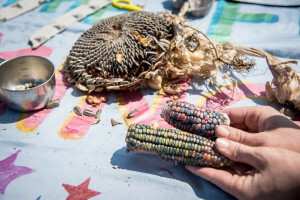 We value them as irreplaceable, strategic and transformative resources for amplifying the voices of millions who are overlooked, marginalized or silenced by corporate media in the face of police militarization, racism; and housing, health, water, economic, educational, and environmental depredation. * Promote a morning mix of community-sourced, local, daily prime-time programming – making news together. This includes addressing attacks on immigrants, violence directed at people of color and discrimination based on race, nationality, gender, sexual orientation, age, and disability. 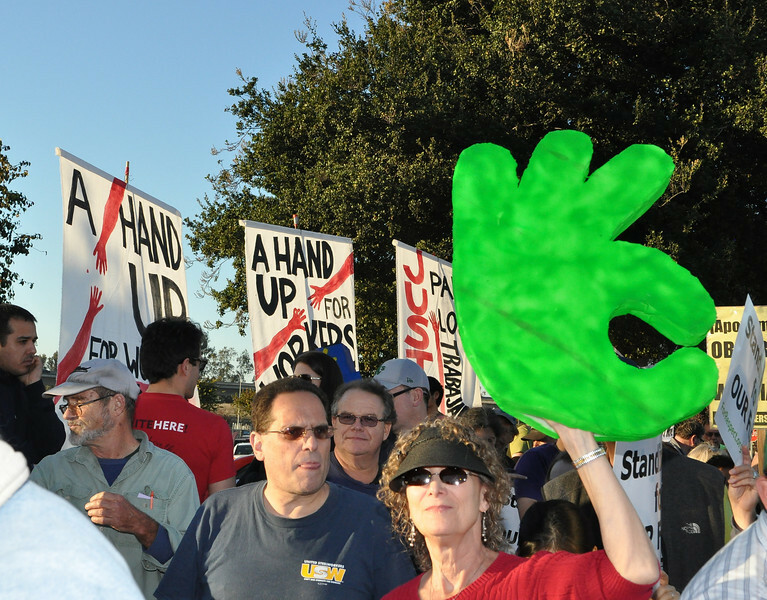 * Provide free real-time video streaming of demonstrations, rallies and other news events. Offer low-cost access to recorded videos of lectures and other cultural activities. * Provide a transparent and sustainable budget that aligns spending with actual income; decrease the number of pledge drives. No underwriting/advertizing. * Re-establish a program council with decision making authority and broad-based listener and staff participation to evaluate existing programs and new proposals. * Counter the influence of corporate political parties’ monopoly on opinions and assert a clear anti-war perspective. Honor the value of drama and humor and include them in our programs. * Improve access to resources and training for unpaid staff and provide all staff, paid and unpaid, the right to unionize. * Participate in a network-wide process to further democratize Pacifica/KPFA and improve financial stability. We are committed to preserving the 5 stations, the national archive and affiliate services. United for Community Radio Candidates. 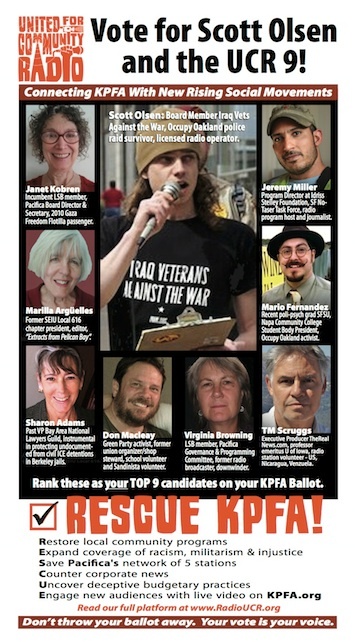 Vote in the KPFA Local Station Board election!!! Pacifica National Board Already Decided — Bequest Should Have Been Sent to Pacifica! Our opponents have been claiming that United For Community Radio “cost KPFA $400,000“, implying that KPFA was actually entitled to a $400,000 bequest. Of course, that is the exact issue — KPFA was not entitled to the $400,000 bequest — the Pacifica Foundation was entitled to this bequest. Our opponents inappropriately decided, WITHOUT CONSULTING PACIFICA, that this bequest was intended solely for KPFA. 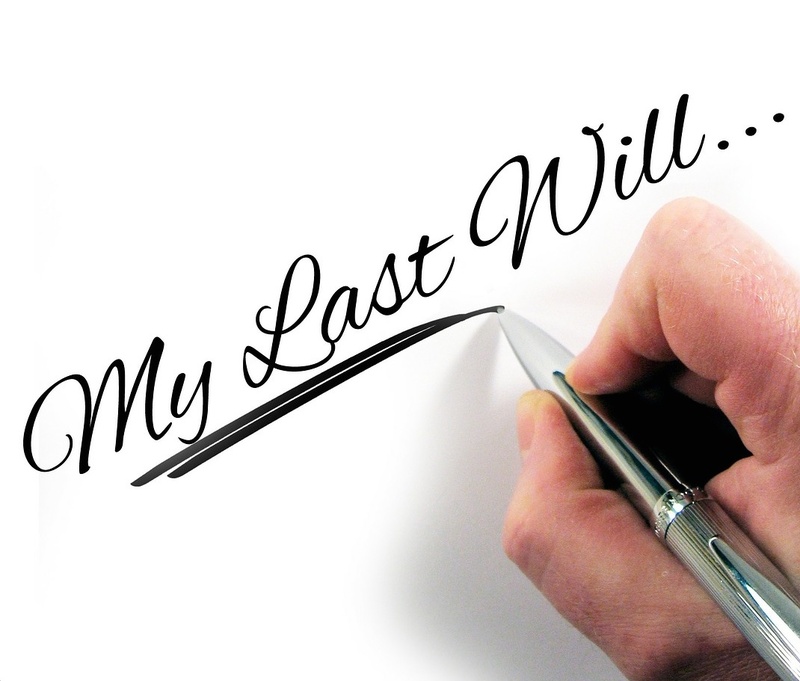 The reason we know that KPFA was not entitled to the $400,000 bequest is because the Pacifica National Board (PNB) has determined that the bequest was actually supposed to go to Pacifica. The PNB’s decision is supported by the evidence. First and foremost, both the bequest and the check were specifically made out to “Pacifica Foundation Radio”. There was no mention of KPFA in the bequest documents. And, even assuming there was ambiguity in the identification of Pacifica Foundation Radio, the proper response would have been to contact the PNB to mutually discuss and decide how to deal with the bequest. It was our opponents failure to ask Pacifica that is at the heart of this matter. To the extent that our opponents felt there *was* ambiguity, they should have checked with the Pacifica National Board. Interim Executive Director (and SaveKPFA candidate) Margy Wilkinson later apologized for this failure to disclose — after the fact and when the bequest funds were already comfortably residing in the KPFA bank account. It really would not have been that difficult to send this information to Pacifica prior to depositing the check in the KPFA bank account. As the image above shows, it is quite easy to make a bequest that is for KPFA, and the KPFA website provides clear instructions on how to do this. Of course, Pacifica must be mentioned in the bequest instructions because Pacifica is the parent organization of KPFA. Significantly, the KPFA website makes clear that the phrase “for the benefit of KPFA” or “fbo KPFA” must be added. 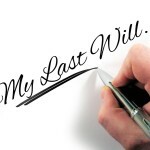 This is not difficult to do, and is standard operating procedure for attorneys working in estate planning who are trained to make clear and unambiguous bequests. Now that our opponents have been exposed, they start the mudslinging, with personal attacks on UCR candidate Janet Kobren who found the documents showing that the bequest was intended for the Pacifica Foundation. However, Janet Kobren was simply doing her duty as a board member and secretary of the PNB. This is in stark contrast to other KPFA members on the PNB, Brian Edwards-Tieckert and Margy Wilkinson. They have shown that they are willing to “Save” KPFA — at the expense of the entire Pacifica network. 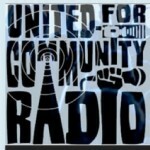 United for Community Radio is not into assigning blame. UCR wants to ensure that the entire Pacifica network remains strong, including KPFA and its sister stations. UCR’s opponents must stop cannibalizing Pacifica to allegedly “Save” KPFA. 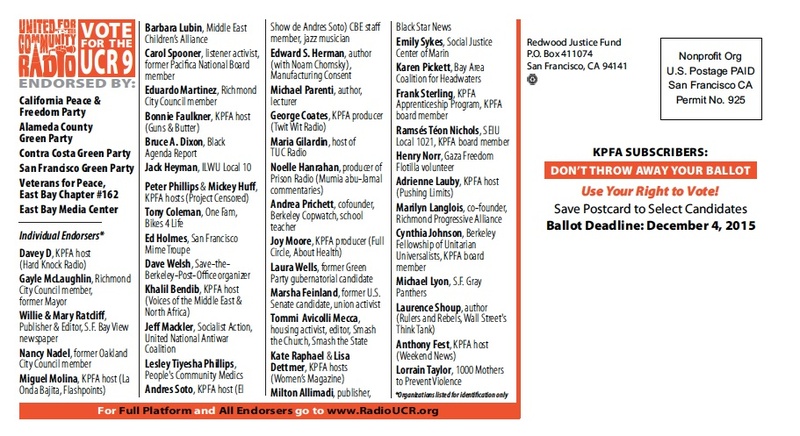 Vote for the entire UCR slate in the KPFA Local Station Board election. For another perspective on the bequest, read Frank Sterling’s article here about how We Are All One! Frank Sterling is KPFA’s Technical Director of First Voice Media program. To me the most important plank of the United for Community Radio (UCR) platform is the one that will preserve Pacifica as an independent entity where free speech is valued. I’m referring to this part of the platform: Refuse corporate underwriting or advertising. These are desperate times at Pacifica. Many people say: “There simply is not enough money, so why not take advertisements?” The answer is that taking corporate money will change Pacifica and KPFA in ways that are unacceptable. At this point, at most Pacifica stations, there is no outside entity beyond the FCC who has any say about what is on the air. Sometimes what goes out is not polished, sometimes it’s not politically correct, sometimes it causes us to protest. All that is good in my opinion. That’s what makes us trustworthy. We are accountable to each other and to the listeners, no one else. Each person who speaks, speaks for themselves. With corporate underwriting would come outright censorship and self-censorship. We might as well be NPR! Those who say that they never feel pressured by their advertisers, are not being totally honest, in my opinion. They don’t even realize that they are self-censoring. In this world ruled by corporations, Pacifica is a unique network, a place where no outside corporation can tell us what to say or feel or think. Somewhere along the line Pacifica stopped taking budgets and audits seriously. That nonchalance has brought us to the brink of losing our network. I believe that hard fiscal decisions need to be made immediately. I believe that once we get our financial house in order, we can go forth with the support of the listeners and that we will not need corporate funds to do so. If you don’t want corporate underwriting and advertising on your Pacifica station, please vote for the UCR candidates. 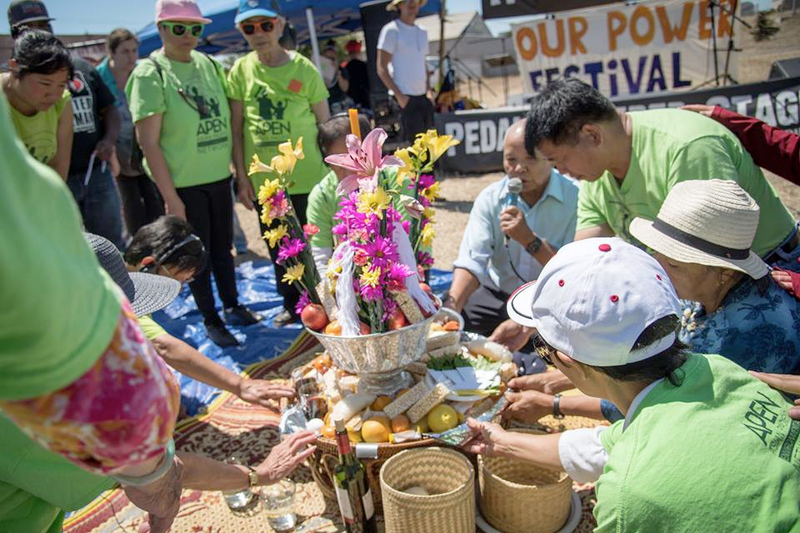 “Keep Corporations Out of Our Daily Life.” – photo by Brooke Anderson from “Our Power Festival” in Richmond, CA. “Connect with the People.” photo by Brooke Anderson from “Our Power Festival” in Richmond, CA. 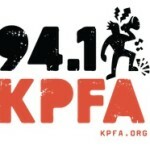 Does the $400K Bequest Belong to KPFA? In mid-October 2015 after numerous inquiries from KPFA members regarding the two large bequests made to KPFA amounting to a total of $958,000, I decided to perform a director’s inspection at KPFA to look into the bequest documents. 3) There was no reference to KPFA in the will or on the check. I also learned that the check for the other bequest was specifically written to KPFA for $558,000 and correctly deposited in KPFA’s bank account. This discrepancy caused me to explore the Hall Trust further, discovering some gaps in information with regards to how the Hall Trust bequest had been handled internally. The bequest that had been spelled out in the bequest document and the check to go to PACIFICA FOUNDATION RADIO, rather than going to or through a Pacifica Foundation bank account, was deposited directly into KPFA’s bank account. Based on the accounting, revise the KPFA and PNO budgets accordingly. The motion passed handily and was included in the report-out of the executive session. The main argument against my motion, chiefly by those directors who have a vested interest in KPFA, included a claim that since the snail mail address of an individual whose name was similar to but not the same as the name spelled out in the Hall Trust documents, someone who had donated a total of $1,745 between 1990 and 2014 (which by the way was way less than 1% of $400K) was in the North Bay and within the KPFA “signal area”, it was the “intent” of the donor to bequeath the $400K to KPFA, and not the Pacifica Foundation, even though the will and the check had spelled out PACIFICA FOUNDATION RADIO on both, with no reference to KPFA. To me this was an attempt by some within Pacifica to interpret the intent of the donor, and there is no way, short of a seance, to determine the donor’s intent beyond that specified in her will. Many questions remain, among which are the following: Was SaveKPFA’s influence through the then PNB chair/iED Margy Wilkinson used to make the interest of the Pacifica Foundation network to solely benefit SaveKPFA? To what extent does a financially weakened Pacifica Foundation, possibly intentionally starved to facilitate its bankruptcy, benefit a private entity, the now not-so-secret KPFA Foundation? And, how far will Brian Edwards-Tiekert, the SaveKPFA, KPFA LSB member, PNB Director and chair of the PNB National Finance Committee (aka the PNB treasurer) go through motion after motion to attempt to get proposals passed to “capture” KPFA’s license for the benefit of an undemocratic, private entity? * Between February 26, 2013 and January 20, 2015, the “Pacifica Foundation” name had been captured by an entity in New York during which Pacifica used the name “Pacifica Foundation Radio” until recapturing the “Pacifica Foundation” name back on April 9, 2015. 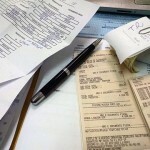 ** DBA = Doing Business As. 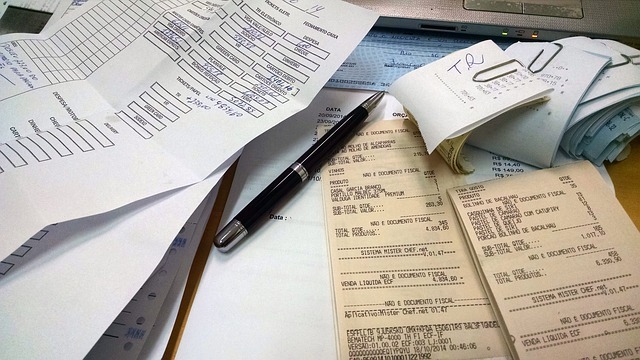 A DBA is also sometimes referred to as a fictitious business name. In the case of the Pacifica Foundation, it is the Pacifica Foundation, not the fictitious name, that is the entity conducting any business in the name of a DBA. 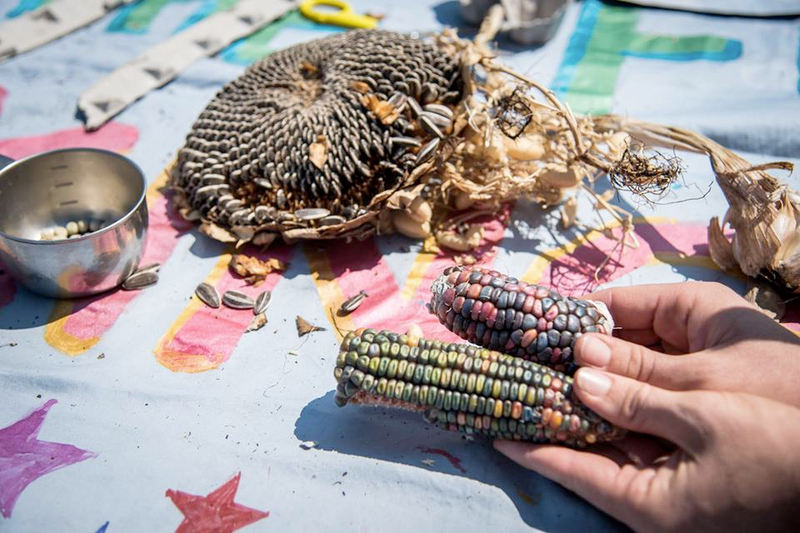 In 2011, Oakland’s Museum of Children’s Art abruptly cancelled a planned exhibition of art created by children in the Palestinian occupied territories of the West Bank and the Gaza Strip. 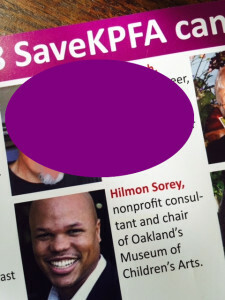 At the time, Museum board chair (current Save KPFA candidate) Hilmon Sorey stated that the art was “not appropriate” for the Museum. The following open letter was sent by Barbara Lubin, executive director of the Middle East Children’s Alliance. I received a letter today asking me to vote for the new KPFA Board of Directors and I was shocked to see Mr. Hilmon Sorey’s picture and name on it. I don’t know if you remember when MECA brought the Children’s Art Exhibit to the U.S. from Gaza. We spent 6 months working with the staff of The Museum of Children’s Art in Oakland. They had agreed to let us hang the exhibit at the museum for 2 months during which time we would have many small events with children and teachers. We were all very excited but that changed after a visit from Hilmon Sorey who was chair of the Museum’s Board. He came to MECA’S office 2 weeks before the exhibit was to open and informed us that the Museum had changed their mind and we would have to look elsewhere for a place to hang the pictures. The rest of this story is in the book we had published and I will get to you. He is not to be trusted and when push comes to shove he will do what the Zionist community tells him to do. We received hundreds of letters from all over the world condemning him for his lack of leadership but mostly for insulting the Palestinian children who drew these pictures. Specific questions about KPFA? Finances, Labor, Programming? Use Search Box above. 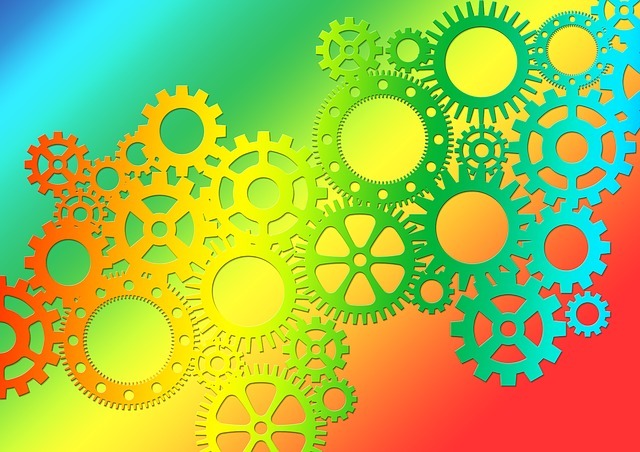 In our effort to find common ground with those who adhere to the broad goals of United For Community Radio, we invite the community to share information and ideas for posting to this website’s COMMUNITY BLOG. 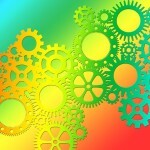 See "About" page for contact information.